Even though the merger between US Airways and American Airlines has been going pretty smoothly, I’ve actually been more concerned about how the merger between the two frequent flyer programs will work. Working in the aerospace industry, I think less competition is a bad thing for consumers but at this point, there’s not a whole lot we can do about it. Instead, I decided to take advantage of the merger by applying for the US Airways Mastercard one more time before it goes away. The 40,000 points the US Airways Barclaycard offers isn’t spectacular but it is a good opportunity to take advantage of a card that will soon be extinct. And since we know that the two programs will be merged sometime in 2015, these US Airways points will eventually become American Airlines points. AA Advantage has been one of my favorite programs over the years since it’s paid for two trips to Hawaii and it will be paying for the outbound trip to Italy for our honeymoon. The other cool thing about this card is that I can use the points now on US Airways or I can wait until next year and use them on AA. Normally, I’m not a huge fan of airline specific cards unless I have a redemption in mind. So even if I don’t find anything in the next year, I’ll be able to redeem the points with AA. In my experience AA has had very good availability off peak and even during peak times. Most awards cost double the price during peak times but at least they’re available. I was able to book two off peak awards from LAX to Kauai last November for 30k points each roundtrip. This summer, I was also able to book one way tickets from LAX to Rome for 60k points each in Economy Comfort (I need that 6 inches of extra leg room!). 40,000 Point Sign Up Bonus – The bonus on this card isn’t as high as some other cards but it’s right around average. I would conservatively value these points around 1.5-2 cents per point so depending on how you redeem the points, they could be worth up to $800. Two Companion Fares Each Year – Another major benefit of the US Airways® Premier World MasterCard® is that you get up to two $99 companion fares every year. Most airline cards don’t even offer companion fares and if they do they tend to be much more expensive. Priority Boarding and Check-in & First Bag Free – This is a pretty standard benefit for most airline branded credit cards and while it isn’t a huge deal, it’s definitely nice to be able to check in a little faster, board a little earlier and save a couple bucks on baggage fees. Free FICO Score – This is a new benefit of Barclay cards and unlike sites like Credit Karma or Credit Sesame you can get your actual FICO score for free. I already have this benefit with my Barclay Arrival card but it’s definitely a nice little bonus. I signed up for this card just over a year ago when there was no annual fee and they were also handing out a 10k point bonus after your one year anniversary. Since my first year was free, once I hit my anniversary I decided to cancel the card. The benefits didn’t really warrant paying an annual fee after the first year. But I did make sure that the 10,000 bonus points posted first and then I cancelled the card. You generally have 1-2 months after an annual fee hits to cancel and get the fee refunded (Barclay’s policy is 2 months). The other cool thing about this card is that they sometimes offer a 15k point bonus for spending $750 for 3 consecutive months. This is a targeted offer so there’s no guarantee you’ll get it but a majority of people do. I had this card for a year and ended up with 65,000 points: 40k from the sign-up bonus, 15k from the targeted promotion and 10k for the anniversary bonus. This card no longer has the anniversary bonus but there is still the chance of getting the targeted offer. Instead of applying for another US Airways Card for myself, I decided to apply for one for my fiancee and she was instantly approved. 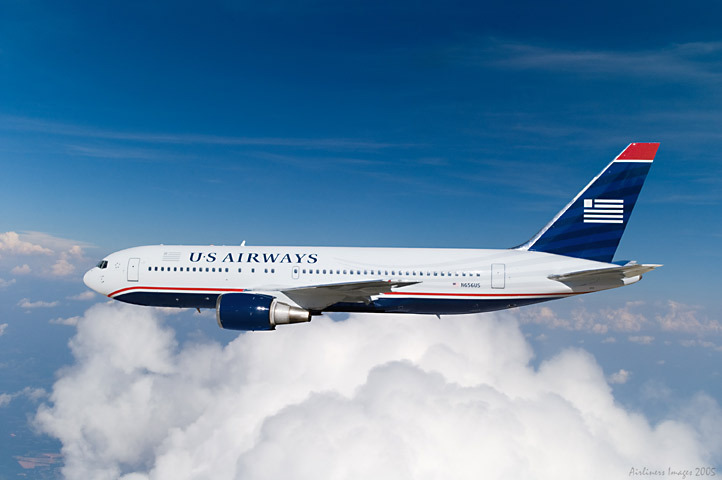 We don’t have any trips planned on US Airways but if we end up not using them, we’ll definitely be able to take advantage of them once they become American Airlines miles. 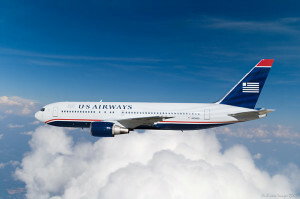 Readers, what do you think about the US Airways Mastercard? If you’d like to sign up using my referral link you can do so here. I will receive a small commision if you use my link so it’s a great way to support the site.